Is this the most moe restaurant in Nakano? 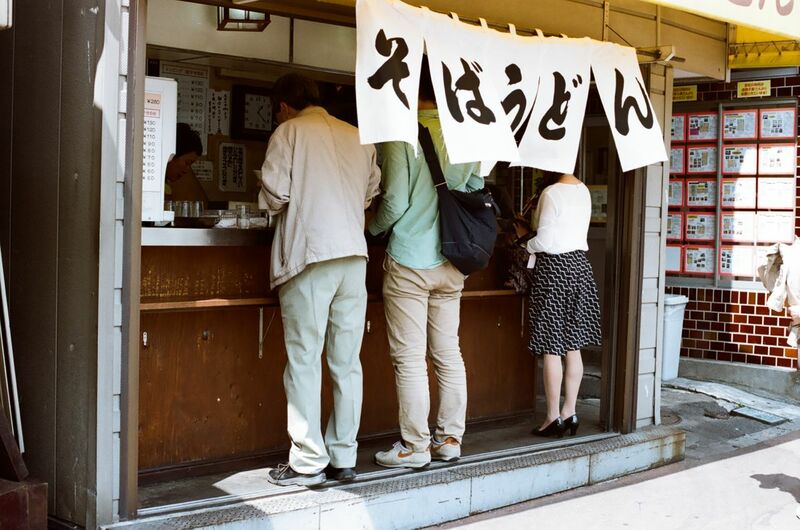 The stand-up soba and udon restaurant, with its half curtain, stands across from busy Nakano station. The restaurant design, including the one step up, forces the gaze onto a row of headless butts, as if on stage.